HyeFighter Artyom Hovahannisyan KO's Navarette at 2:21 of Round 1!!! Unbeaten HyeFighter Art Hovahannisyan is a boxer who can move and box. However, it is his most recent string of knockouts that has awed people in attendance. His most recent knockout was no different. 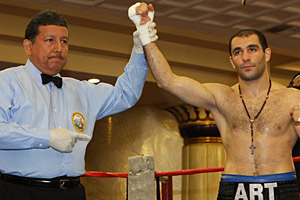 Hovhannisyan, who took the bout on two days notice, knocked out Adrian Navarette in the first round of a scheduled six round bout before about 500 at the famed Commerce Casino in Commerce, CA. The bout headlined a “Battle of the Rising Stars” card, presented by All Star Boxing. Originally, Navarette was supposed to face Cleotis Pendarvis, who was coming off a close eight round majority decision loss to Mauricio Herrera just two weeks ago. However, Pendarvis withdrew from the fight the day before the way because of personal family reasons. Hovhannisyan stepped in as a replacement, winning four out of his last six bouts by knockout. His last fight was last month, where he stopped durable veteran Baudel Cardenas in the fifth round of a scheduled six round bout. Navarette was coming off a stoppage victory in his last fight in August over hard-hitting Joel Ortega. Hovhannisyan started the bout strong, taking the initiative and landing hard rights to the head of Navarette. Hovhannisyan also slipped in hooks to the head and body of Navarette. Navarette tried to fight back, but did not have an answer for Hovhannisyan’s repeated offense. Just when it looked as though Hovhannisyan was content to control the tempo and land, a left hook to the head dropped Navarette to the canvas. The impact of Navarette’s head hitting the canvas prompted referee Raul Caiz, Sr. to immediately stop the bout at 2:21. 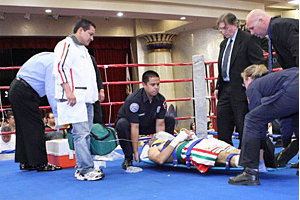 Navarette lay motionless on the canvas, prompting commission officials to order the paramedics in the ring to tend to Navarette. After a few tense moments, Navarette began to move his arms and legs. He was eventually strapped onto the gurney and wheeled out of the venue, blinking his eyes and moving his fingers. 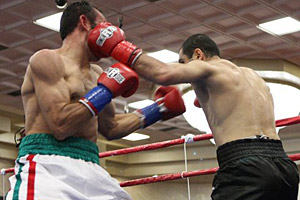 Hovhannisyan, from Glendale, CA by way of Yerevan, Armenia, improves to 10-0-1, 5 KO’s. Navarette, from Durango, Mexico, drops to 17-6-1, 10 KO’s. 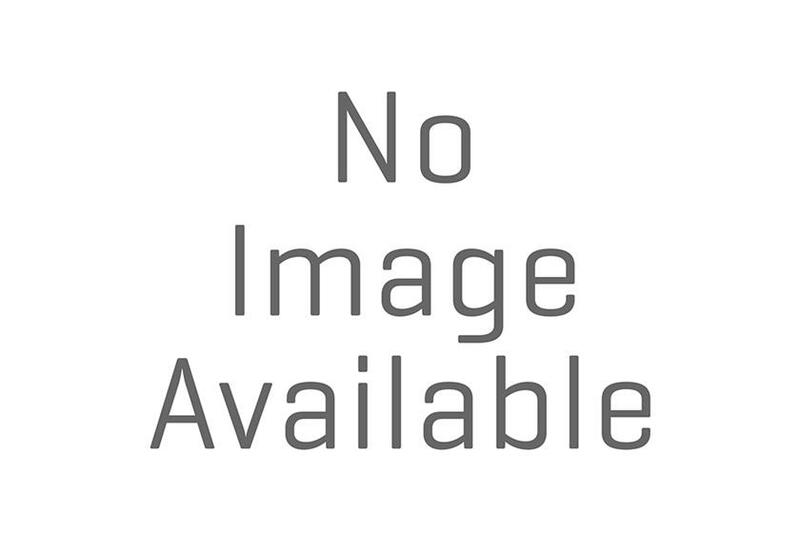 Boxrec.com lists Navarette with a record of 18-7-1, 14 KO’s entering Thursday night’s fight.